The Double Happiness is two couples on the longest double date ever! Sharing a love of the city and its Milo-coloured river reaches, they have created a record that draws on their collective experiences of growing up and living in Brisbane. Having formed only 2 years ago, the quartet have been writing, recording and playing shows with a view to releasing a triptych of themed EPs in 2018. The first of these being ‘City’, a record that is washed in a tsunami of reverb, urgent drums and hauntingly sweet vocal harmonies. With a strong call back to the pioneers of post-punk and early surf rock, listeners will love the sprinkling of Joy Division, Sonic Youth, The Shadows and The Go-Betweens as well as the nod to the early 90's Flying Nun sounds. "The EP explores the motifs of living in the shadows of tall buildings whilst being surrounded by strangers, awkward family moments and we also have an ode to Ping Pong!” explains vocalist and guitarist, Kristin Fergusson. Sounds Like: Joy Division having a lovely day at the beach. Nanna was a colourful, cheeky character who never let the truth get in the way of a good story. 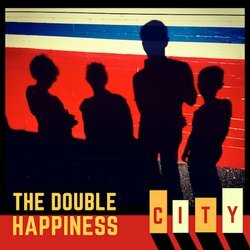 This sweet indie-pop ode to our Nanna and everyone's Nanna, captures The Double Happiness's love of Brisbane and family as it tells a warm and familiar urban tale.